A friend of mine is hiking the Pacific Coast Trail for the next few months. Yes, his plan is to hike the WHOLE thing, all 2600 miles of it. He is doing it to raise money for Cystic Fibrosis Research. He's calling it the Hike for a Cure and he has a Go Fund Me page if you're interested in donating. But that's not the reason I'm writing. It is to say how much I admire him for following his heart. He essentially put his life on standby to do something he'd have regrets about later in life if he didn't follow through. And it is pure, 100% adventure. I am sort of living vicariously through his Video Log (vlog) and his periodic Facebook posts. I've even kicked around the idea of flying out and hiking a section with him for support. As I've mentioned before, I am working my way through Paddle For A Purpose, a book by Barb Geiger, an author friend of mine. She and her husband committed to paddling the length of the Mississippi River. THAT, my friends, is adventure. A commitment to excitement, danger, risk and a healthy dose of outdoors. I like to think of myself as adventurous. After all, I've been to the BWCA a dozen times or so, I've fished and camped a fair amount, and even hiked a small peak in the Adirondack Mountains a few years back. The problem is, on the spectrum, I would fall into the weekend warrior category of adventurers. Adventure has levels of magnitude. Mine have been pretty safe and True adventurists put themselves out there for extended periods, or in extreme conditions. (Think polar explorers, Appalachian Trail hikers, etc.) Most of my adventures pale in comparison. Oh, there was that time we took a fly in fishing trip. While they were loading the gear, they also loaded on two or three 55 gallon drums of diesel for the generators. If we would have crashed, we would have burned...real good. So that was sort of adventurous. Being in such a remote location made it feel different too, although we were only one radio call and otter flight away from a hospital, so it was still on the edge of weekend warrior. 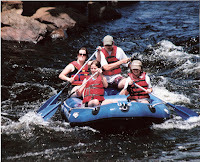 I've gone down some rapids in whitewater a few times as well. Once on the wild Menomonee River before I was married, and twice since on much milder trips with our kids. 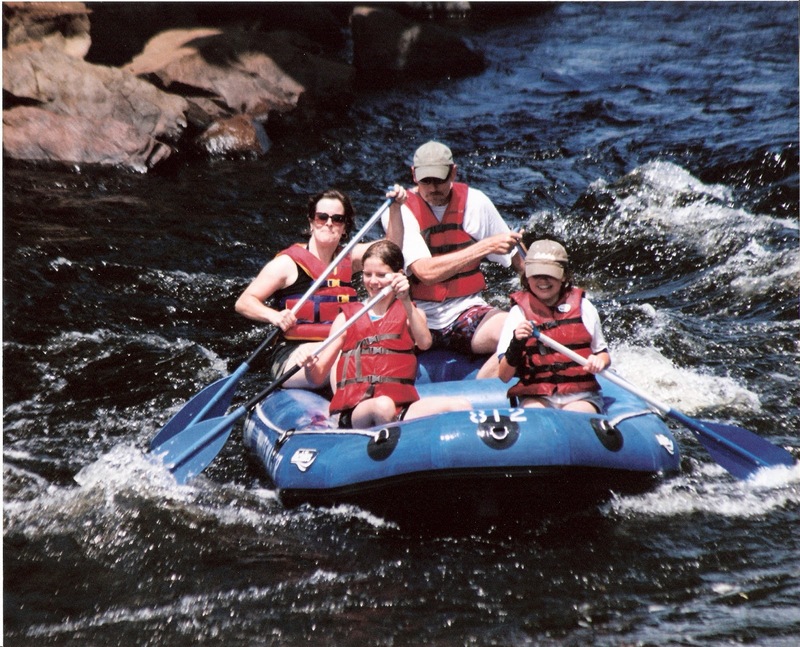 Those trips down the rapids felt as much like adventure as I guess I can ask for. Anyhow, suddenly I'm aware that my days of adventure have an end date to them. If I'm going to jump out of a plane, hike the Camino, or summit a 13,000 foot peak in Colorado, I'd better get going because I'm not getting any younger. I'll expect your full support and encouragement as I quit my job and pursue these adventures.